May 13 Congratulations, Clarafrancie Cromer! Clarafrancie Cromer, a former WATER intern, received her M.Div. 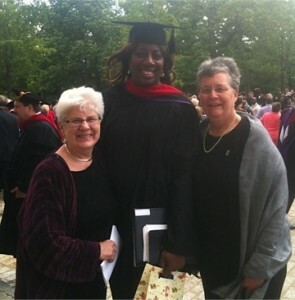 on May 13, 2013 from Wesley Theological Seminary, Washington, DC. Congratulations, Clarafrancie! http://www.waterwomensalliance.org/wp-content/uploads/Screen-Shot-2018-11-01-at-12.15.34-PM.png 0 0 waterstaff http://www.waterwomensalliance.org/wp-content/uploads/Screen-Shot-2018-11-01-at-12.15.34-PM.png waterstaff2013-05-14 11:33:202013-05-14 11:34:27May 13 Congratulations, Clarafrancie Cromer!